Want to recognize that special someones good luck? 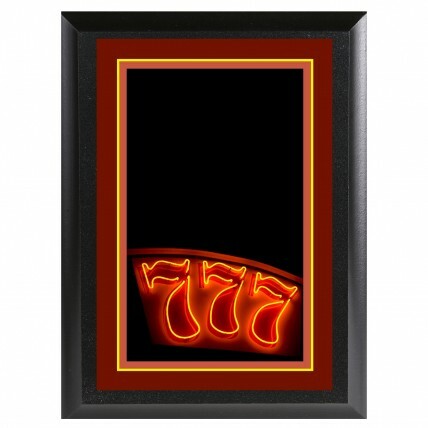 This fun Lucky Sevens Color Plaque is just the award you need! Featuring three 7's on a realistic-looking neon sign with a red-hot border, this plaque is ready for your personalized message. Attached to a black beveled plaque, this item is available in 2 convenient sizes.